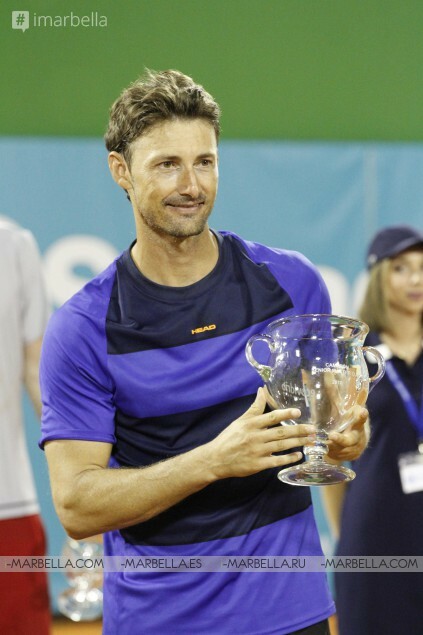 The Spanish tennis player Juan Carlos Ferrero was named on 29 September as the champion of the third edition of the Senior Masters Cup after prevailing in the final to the Russian Marat Safin by 6-3 and 6-4 in a final game full of adrenaline on the central track of the Puente Romano Tennis Club, Marbella, Spain. 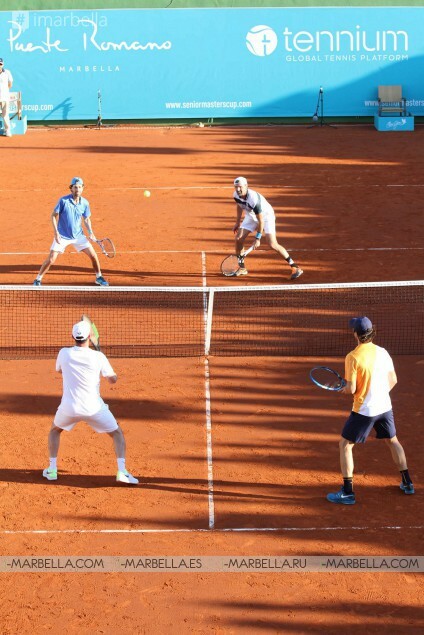 The day started earlier with the doubles match between Moyá-Costa and Ivanisevic-Clavet. An emotive encounter that resulted in a (7-6) in favor of the Spaniards. 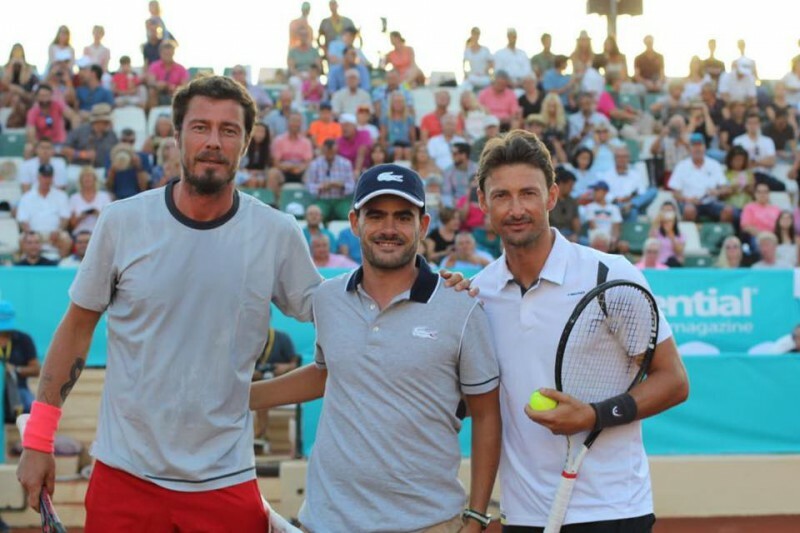 Next, Ferrero joins the historic podium of this great Marbella tennis event with Albert Costa (2016) and Carlos Moyá (2017). In an epic confrontation, of the level of a Grand Slam, Ferrero and Safin have shown that not in vain were both world number one players, and have shown the same tenacity as in their best moments. From the first moment, Ferrero shows his good form by winning the first set. An initial advantage that Safin couldn't overcome. Finally and after an hour and a half of duel, a score of 6-3, 6-4 closes a Seniors Masters Cup of the highest level. "I felt very comfortable on the track, I like to be in competition again, we see that we want to win, competitiveness has not been exhausted," Ferrero said "The truth is that we have played a great level of tennis and I hope that public has enjoyed the game"
Later, and still, in the central court, he declared that "This type of tournaments allows us to continue playing, training and keeping in touch with the competition and our old teammates. It's nice to be able to play in Spain and in venues with an organization of this level ". Marat Safin was very satisfied despite his defeat. "The truth is that you can see that Juan Carlos is playing all day with the kids in his academy, it seems he has not retired! (...) I'm happy to have come. It's my first visit to Marbella, but Spain is like my second home. I lived in Valencia for a long time, I have a house in Ibiza and I hope to come back here. People always treat me very well. " 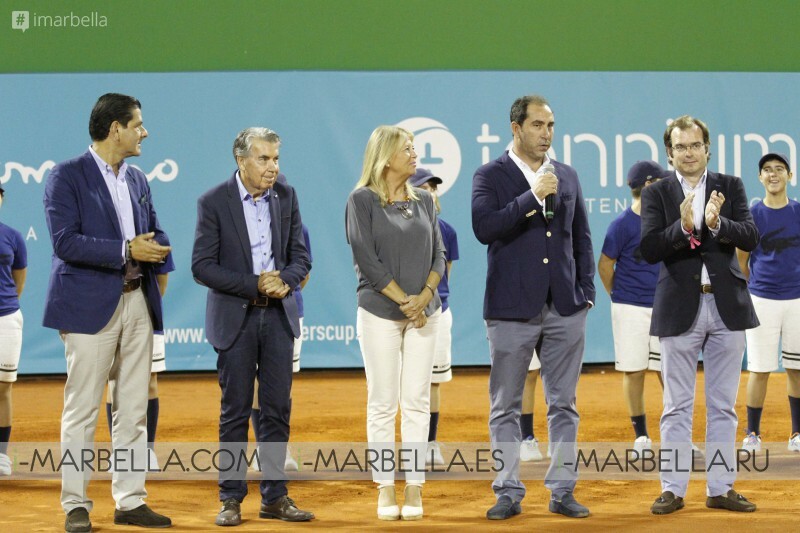 The award ceremony came from the hand of the tournament director, Albert Costa tournament who was grateful for the good reception of the public, the mayor of Marbella, María Ángeles Muñoz, and with the presence of Manolo Santana, the general manager of Hotel Puente Romano, Jorge Manzur and the director of the promoter company Tennium, Joaquín Ramos who gave some closing words for the celebration. Finally, the French singer Yannick Noah closed the tournament with an exclusive concert in the VIP Lounge area of the club. Make sure to take a look to our video and get the best insights of the games played this weekend! The Senior Masters Cup is an event of Tennium, a global tennis platform company that owns the ATP 250 tournaments in Antwerp and Buenos Aires (European Open and Argentina Open) and represents world-class players such as the Spaniards Feliciano López, Marc López , Tommy Robredo and Lara Arruabarrena, the Romanian Sorana Cirstea or the Colombian Santiago Giraldo; as well as the young promises, Paula Badosa Gibert, Sara Sorribes Tormo, Marie Bouzkova, Ilya Ivashka, Carlos Taberner, Álvaro López San Martín, Zizou Bergs and Victoria Jimenez Kasintseva.